KM Grant’s new Project Manager gets to grips with his first site meeting! 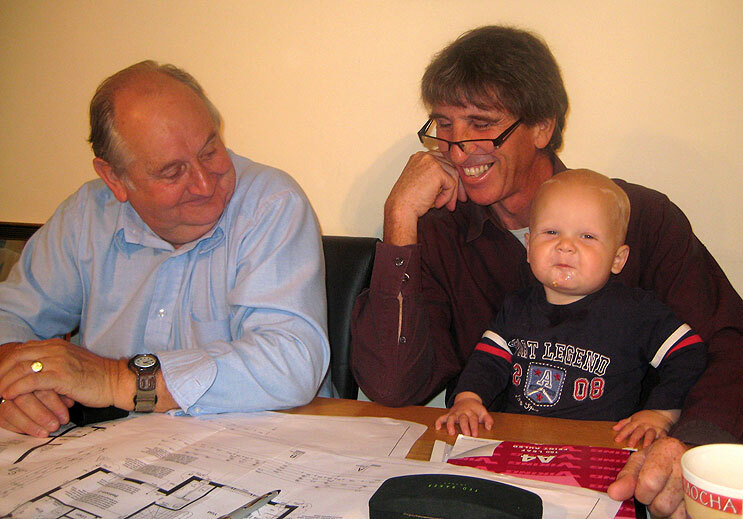 We are currently doing further work at a house we built a few years ago and were reminded of this photograph taken at one of the site meetings when our client was trying to juggle motherhood with design decisions. Their son is now 7 years old with younger siblings. If he grows up and enters the construction industry the fault will be all ours! Previous article: "For the love of wood"